12 Months warranty on whirlpool system. 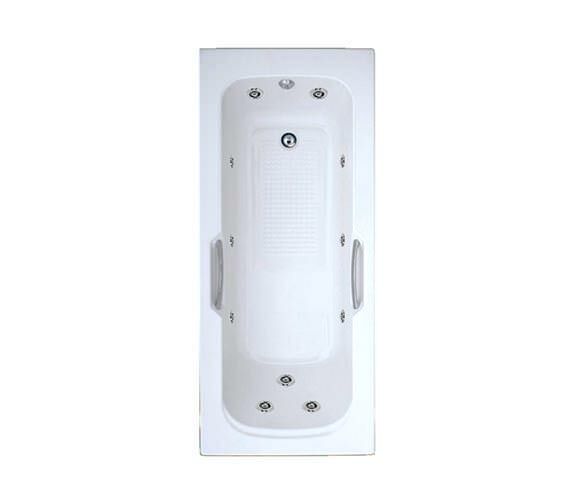 Trojan brings you the Granada Whirlpool Bath that is decorative as well as user-friendly. The 8mm thick acrylic creation boosts the glamour of the bathroom and turns it into a relaxing place. 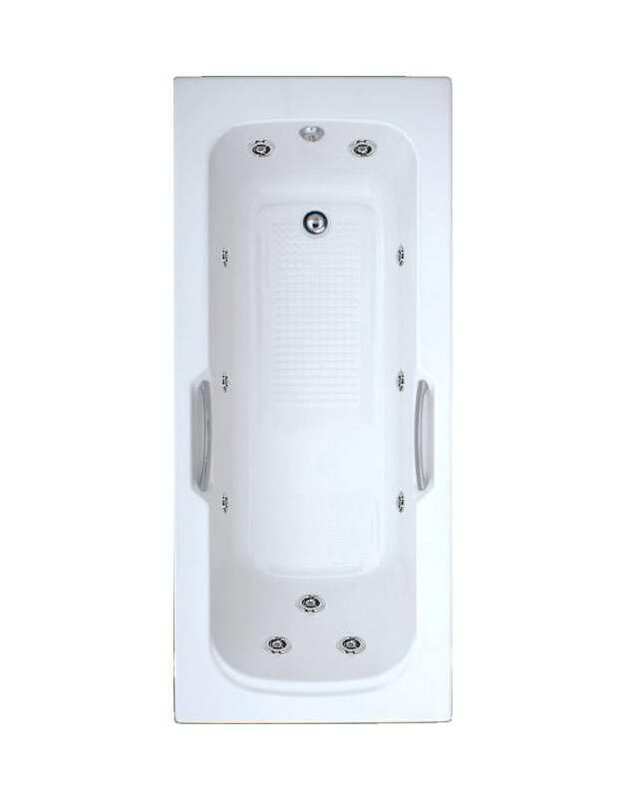 The trendy bath that features twin grips and anti-slip surface is included with 11 powerful jets, to provide relaxing body massage and relieve stress level. This product is backed with a 2-year guarantee, against any manufacturing defects. On the Trojan WPB1002 whirlpool, if you opt for the light option, what’s the difference between LED & Kinetic lights? Are the Kinetics coloured?? How many do you get and assume they are pre-installed? Also please confirm if it does/doesn’t come with a stand (as it says FEET not included) and do you have cut your own tap holes or are they pre drilled? Many thanks. Yes. Kinetic lights are colour changing light and LED Lights are White Lights. Any option select by you will come pre-installed. 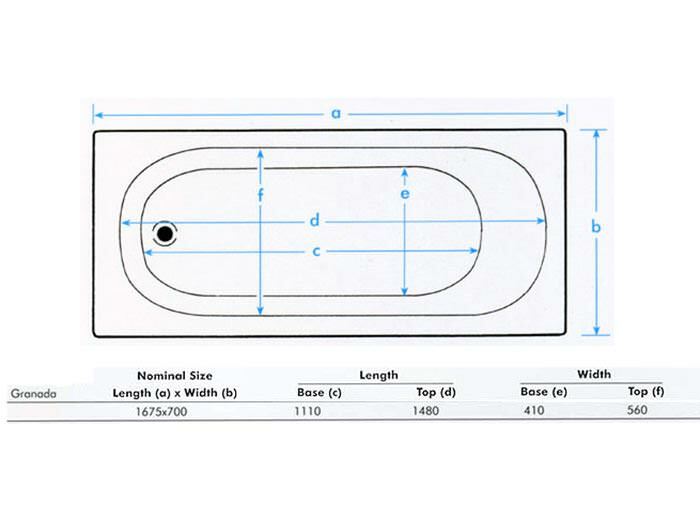 This not a freestanding bath, so feet is not included however Pair of tubular cradles are included to give required support to the bath. This bath comes With 2 pre-drilled tapholes. We can confirm that the pump is reasonably quiet given its purpose, we have never had an issue with its sound level. 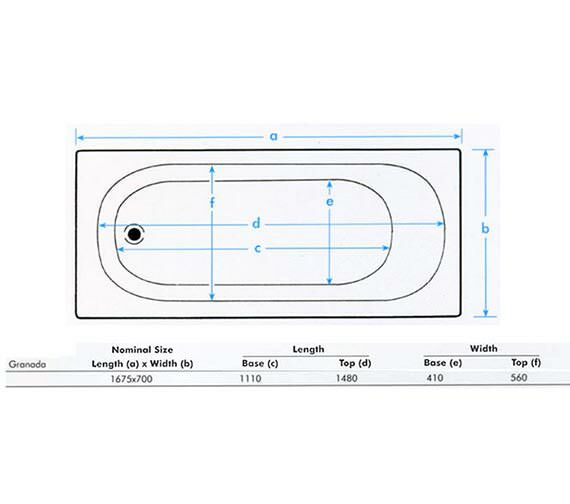 Can you please confirm that the Whirlpool system installed in Trojan granada twin grip bath 1675 x 700mm is of European manufacture and not a China product or Asian product. The bath and system are all manufactured in Huddersfield, West Yorkshire.